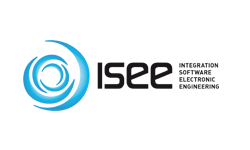 ISEE is a specialist engineering company in the Embedded Systems that offers a large experience in projects relating complete embedded solutions helping industries to improve their production level, lowering costs and reducing time to market of their products. Best quality and latest innovation in each builded product according to customers specifications and requirements, offers the best technical support in the process: before, during and after the project has been defined. Formed by qualified and experienced engineers team bringing to customers the solution that fits better in their projects. Industrial Control Machines, Home Access Control, Sales & Vending Machines, Video Security, Medical Equipment, Gaming Machines, Navigation, Avionics & Military, Radars, are fields where our customers may found help and improvements with our products.